Meg Ryan's estate: Located in Stradella Road, Bel Air, California and is going for a whopping $19,500,000, her 6,877 square feet home has 6 bedrooms, 7 bathrooms. This massive 1931 restored home rests in a gated Spanish compound. It has a two-story stenciled beamed living room, a formal dining room and a snazzy cook's kitchen. Equipped with a massive pool, guests and family bedrooms enjoy suite baths and all of them overlook a 180 degree view of the city. Click "Read More" to view more recent celebrity listings which includes an island! 1) Prytania Street, New Orleans, LA -This is selling for $3,700,000 nested in a 13,176 square feet lot area with 6 bedrooms, 5 full and 2 half bathrooms. Revered as the megamansion of the Garden District (and tagged as a haunted house too), it offers the best amenities. Large entertainmentwith formal gardens, parking, and everything expected from a star's home. 2) Exuma Island Chain, Bahamas - Yes you read that right. An island in the Bahamas. The Island is listed as $7,000,000. The island is 45 acres. The most beautiful island in the Bahamas is the Exumas. The island is located between Lee Stocking Island and Norman’s Pond Cay and near to all amenities. It rolls on beautiful beaches with a well-protected cove on the western tip, and azure waters which makes it excellent for fishing. 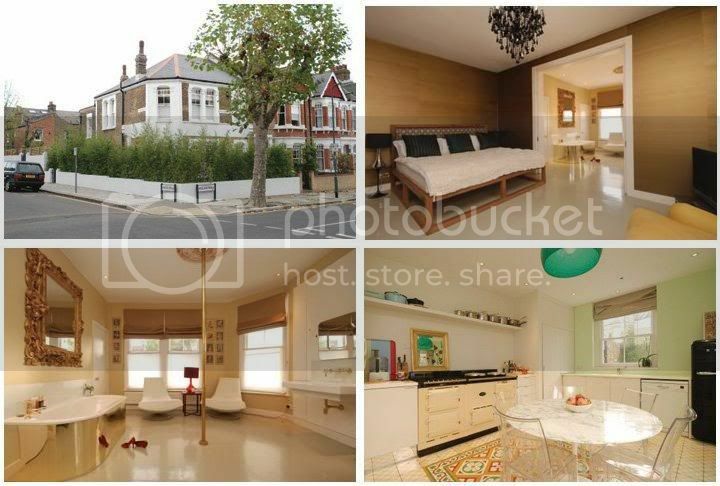 Mick Jagger's daughter Jade Jagger's London abode: Located along Keslake Road, Queen's Park in London, the house fetches for £1,500,000 nested in a 1,989 square feet lot with 3 bedrooms and 2 bathrooms. Offering lavish, extremely well presented accommodation throughout, the property comprises fabulous reception and dining room, convenient eat-in kitchen opening onto garden, master bedroom with incredible en suite bathroom and walk-in wardrobe, two further generous bedrooms, glamorous bathroom with mosaic mirror wall and ceiling tiles and charming private garden to the rear.